Cardi B landed her “regular, degular, shmegular” self on the cover of New York looking like a million dollars and sounding like the only person I want to hear talk to about anything, moving forward. 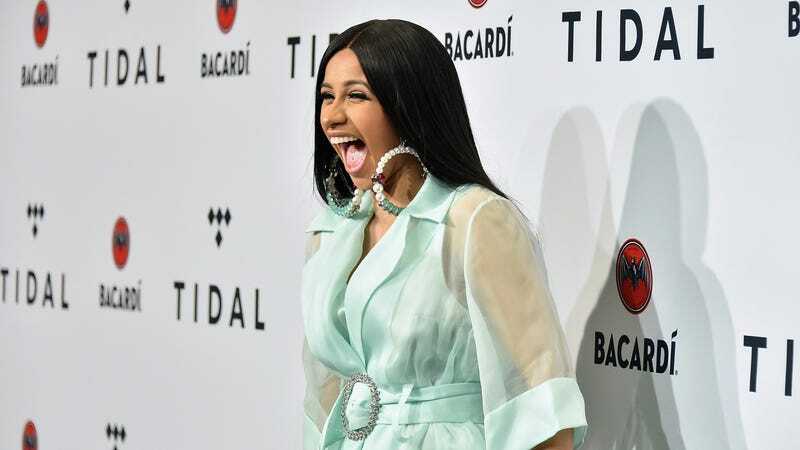 Writer Allison P. Davis spent a good chunk of time with Cardi, who is currently enjoying a long moment in the spotlight. Nestled amongst many other jewels of wisdom is a bracingly refreshing take on feminism that is perhaps the only answer I want to hear from a famous woman when they’re faced with this question in interviews. “Being a feminist is being equal to do what a man do” is the most succinct summation of what feminism means—it’s a definition absent of any of the ideological fracturing and confusion that weighs down a modern understanding of feminism. It pokes a hole in the inflated balloon of theory and hand-wringing that accompanies most of the contemporary feminist movement and breaks it down to its very core. Feminism has nothing to do with school or long skirts or respectability politics. Cardi nailed it. Cardi’s definition of feminism isn’t necessarily new for her. Wade through the beautiful waters of her Instagram and you’ll find this video from 2016, where she lays out her world view. Easy! Simple! Equal rights, for men and women. Make that your ringtone. Print it on a business card and hand it out to strangers on the bus. That’s all it is—equality. For more wisdom from the mouth of Cardi B, read the entire profile here.